Study ; The first step… Consider what you want to achieve and what’s life currently like. This might seem as a no-brainer, though you might be surprised how few organisations actually do this. RFI ; So you have a great idea? Fantastic! Now compare this with what is currently seen as industry standards and what are common solutions positioned by vendors. My advice here is not to differ too much from the ongoing standards, unless this is really ground breaking or market differentiating for you. Though, in most cases, you are just looking to keep your business running. In the latter case, keep as close to the standard as possible. Project ; Once the selection is done and contract negotiations are (near) closed, the project can start. This usually starts with a due diligence by the vendor to check if the assumptions / constraints are still valid. The first step before any project should be a “study”. Do a requirements analysis, update your views on the operational baseline and define the target flag of what you want to reach. 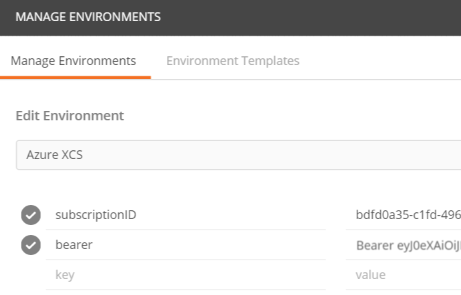 Now you can do a fit-gap analysis and see what needs to be done. If the entire matter is way to big… Slice it into smaller / manageable chunks. In the past, we often saw “big bang”-projects which have shifted towards “Roadmaps”. In a Roadmap, the road towards the end goal is mapped via smaller / more realistic paths (projects). The conjunction of all these projects ensure that you reach your path. Though where it might be possible to enter all these projects into one RFP, in most cases it might be more interesting to spread them as your operational baseline is (with due reason!) a moving target. Your job is mostly focussed to serving your internal business processes. It is not wrong to say that you are not an expert in the sector you want to purchase from. This is not something to be ashamed of! Though, be aware that your vendor IS an expert in the matter. During the “RFI” (Request for Information”) you are going to study the relative sector from which you are looking to acquire services/products. Research into the products and do not be shy to invite vendors over to discuss their products. Learn to know their (dis)advantages and how they can serve your business. In the end… always translate certain “features” / “technologies” into basic requirements. For instance ; IT Storage projects revolve around “capacity”, “performance”, “availability” & “integration”. 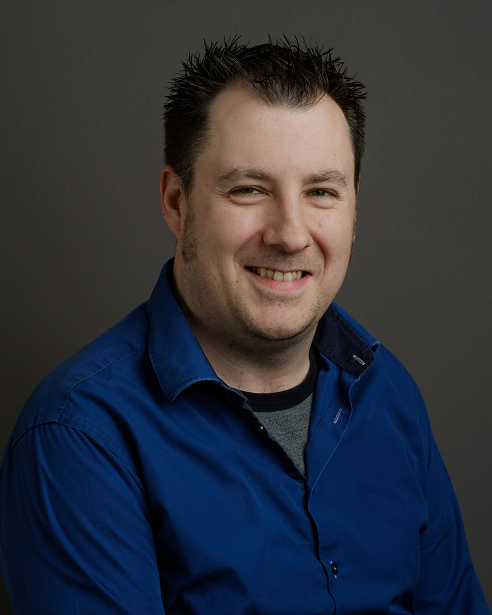 Thin provisioning, snapshotting, deduplication, … all revolve around “capacity”. So do not be fooled by the nice “bling bling” that vendors portray and search for the essence of what you want to achieve. During this round, you will also define your list of requirements and selection criteria! So be sure to look for the elements that should compose these requirements/criteria. Start-up ; Invite the vendors to take part and ask them to confirm. After receiving confirmations, send the RFP to all vendors at the same time. 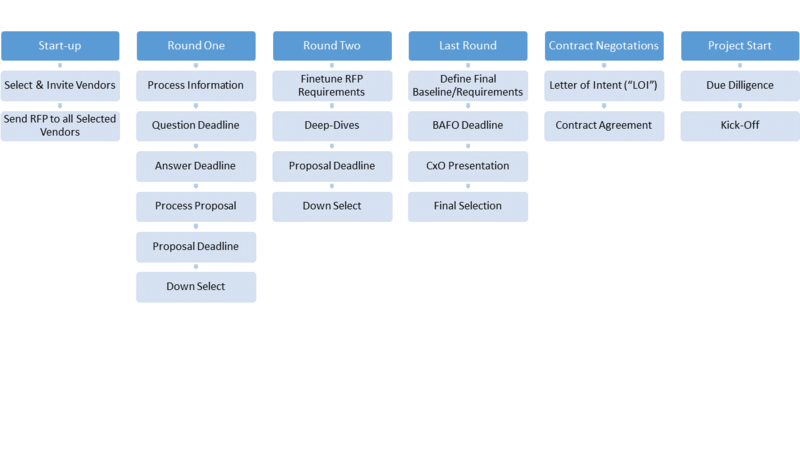 Round One ; During the first round, you will allow the vendors some time (typically one to two weeks) to process the RFP. At the end of that period, they will need to have sent all their answers to you. You will process these and provide all vendors with a list of all questions & answers. After which, you will allow them again a given period to adjust their proposal to fit these answers. After the deadline, you will do a “downselect” of the vendors to reach the number of vendors you want in round two. Round Two ; When going through the answers of round one, you will notice that there are fundamental differences between vendors. Now you will adjust your requirements to align all the vendors towards one target. In addition, you will invite the vendors to explain their proposals into more detail. This will give you a more profound insight into the reality of things. At the end of this round, you will once again to a downselect to reach the last contestants (typically two or three). Last Round ; At the beginning of the last round, be sure to provide the remaining vendors with a clear-cut baseline that everyone should meet. Now you do not want any structural differences between the parties anymore where the main focus will be around meeting the target and pricing. Clearly indicate that this should be their “Best And Final Offer” (“BAFO”), which will be presented at CxO level. At the end, choose the party which ranks the highest in relation to your selection criteria. Contract negotiations ; After the selection, contract negotiations will start. In some cases, an “LOI” (“Letter of Intent”) will be signed to create a non-linear relation between the contract negotiations and the project start. Project Start ; The project will start with a due diligence; Here an investigation will be done by the vendor to check if all the assumptions made (and agreed upon) are valid. After which the project will kick-off! Be aware that these kind of processes can take up to half a year! So be sure to initiate them with ample time left before your deadline. Also be aware that these things will have a delay and in most cases this is caused by yourself! You still have your regular job to do… and you will get questions that you did not consider and need time to analyze. So how should a typical RFP/RFQ document look? Management Summary ; Create a one-pager for executives from the vendors to read through. Context ; Why do you launch this RFP/RFQ? Provide an insight into your way of working/environment. How does this project interact with it? Timing ; Setup a clear timing table. 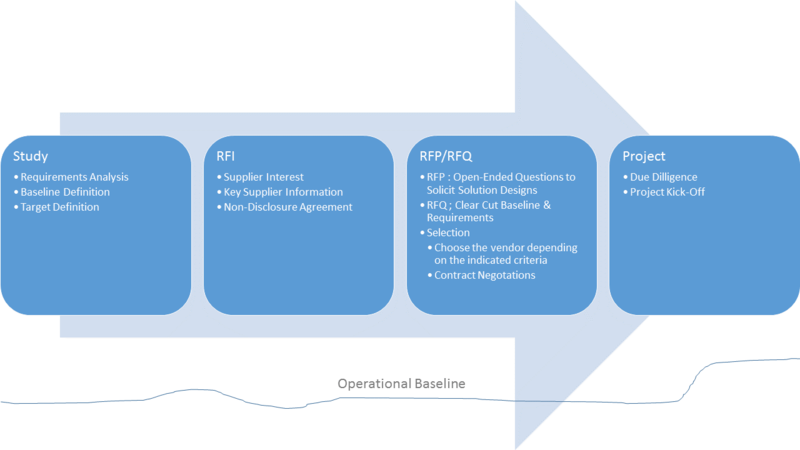 Each phase should have a clear deadline… An RFP/RFQ is a project so be sure to manage it like a project. This is also important for the vendors to allocate resources towards the process of answering the proposal. It is in your best interest to ensure that they can prepare themself properly. Selection Criteria ; Always use (and communicate!) selection criteria. You, and the vendors, should know how you will quote their proposals and make the final selection. Be ware that these will become the core driver for the proposals! If you hand out more than 50% on price, then you will get skimmed down offers. Pricing Table ; You do not want all vendors to provide their own pricing table… You will not be able to compare apples with oranges. So provide your own pricing table and adjust it according to the feedback from each round. In fact, your RFI phase should have already provided you with ample information to create a pretty stable pricing sheet. Capital expenditures are expenditures creating future benefits. A capital expenditure is incurred when a business spends money either to buy fixed assets or to add to the value of an existing asset with a useful life that extends beyond the tax year. 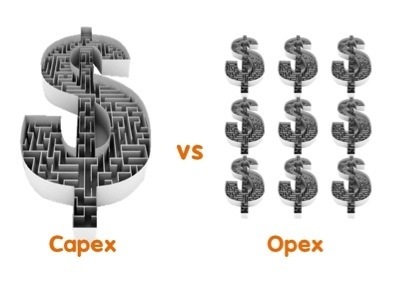 OpEx (Operational expenditure) refers to expenses incurred in the course of ordinary business, such as sales, general and administrative expenses (and excluding cost of goods sold – or COGS, taxes, depreciation and interest). Cannot be fully deducted in the period when they were incurred. Tangible assets are depreciated and intangible assets are amortized over time. So which one is preferred? From an income tax perspectives, businesses typically prefer OpEx to CapEx. For example, rather than buy laptops and computers outright for $800 apiece, a business may prefer to lease it from a vendor for $300 apiece for 3 years. This is because buying equipment is a capital expense. So even though the company pays $800 upfront for the equipment, it can only deduct about $250 as an expense in that year. On the other hand, the entire amount of $300 paid to the vendor for leasing is operating expense because it was incurred as part of the day-to-day business operations. The company can, therefore, rightfully deduct the cash it spent that year. The advantage of being able to deduct expenses is that it reduces income tax, which is levied on net income. Another advantage is the time value of money i.e. if your cost of capital is 5% then saving $100 in taxes this year is better than saving $104 in taxes next year. However, tax may not be the only consideration. If a public company wants to boost its earnings and book value, it may opt to make a capital expense and only deduct a small portion of it as an expense. This will result in a higher value of assets on its balance sheet as well as a higher net income that it can report to investors. So what do you have to keep in mind? Your CFO will be sensitive to,Capex, yet be wary to achieve to most optimal TCO. 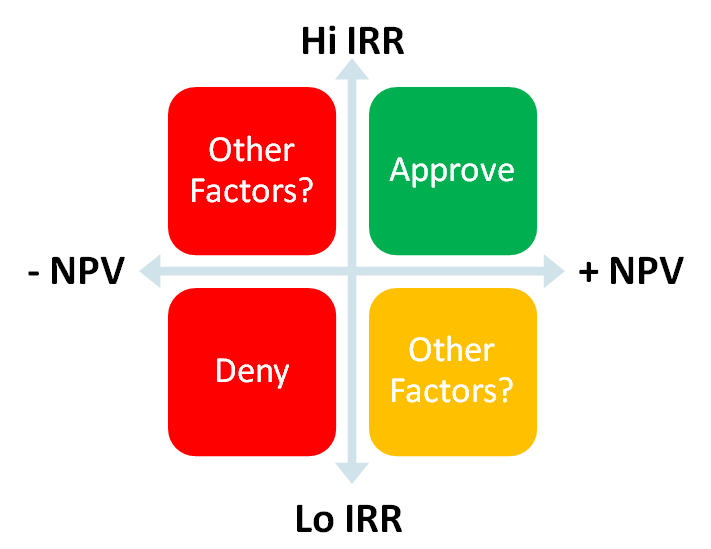 When talking about projects, you often see the following terms popping up ; ROI, NPV & IRR. Yet what do they mean? In Short : The ROI will give you an indication how fast you will have a return on your investment. It’s mostly expressed in a period of years, when calculating with costs related to a year. In Short : NPV compares the value of a dollar today to the value of that same dollar in the future, taking inflation and returns into account. In Short : The IRR will indicate the “interest” you get from an investement. It’s often used as a metric to see if money shouldn’t be kept with the finance institution instead of within a (risky) investment. And how does that related to decision making?